You see, the mr and I bought our first place and been crazy busy with the packing-moving-unpacking-and-decorating process! Plus we had no internet for the first 3 weeks after moving in, but now that the internet is up, I am back and here to stay! This is a photo of our dining and living room. 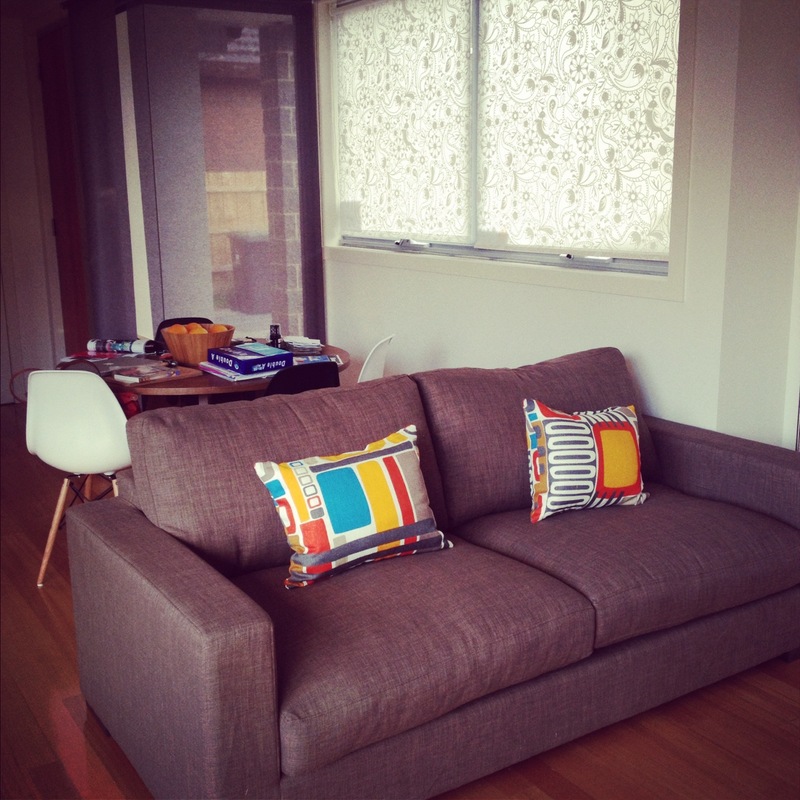 (: Loving our sofa from Freedom! hehe But this post would be dedicated to food, after being MIA for so long! haha But I promise to share more photos of the new place in the post to come! I’ve always considered myself very lucky cause I have a family who care and love me unconditionally and a husband who loves me and loves to give me surprises! (: He came home one Saturday from training his clients and told me to get dress cause he’s bringing me to brunch! When I asked where brunch was going to be, he refused to tell me and replied simply, “secret!” haha. 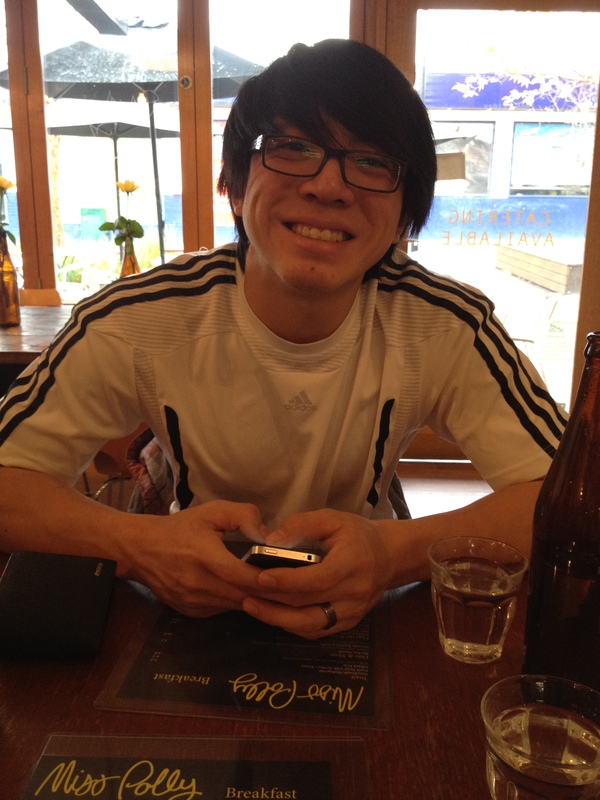 Weekends (especially long ones) couldn’t get any better just spending time with him and enjoying what we love – FOOD! 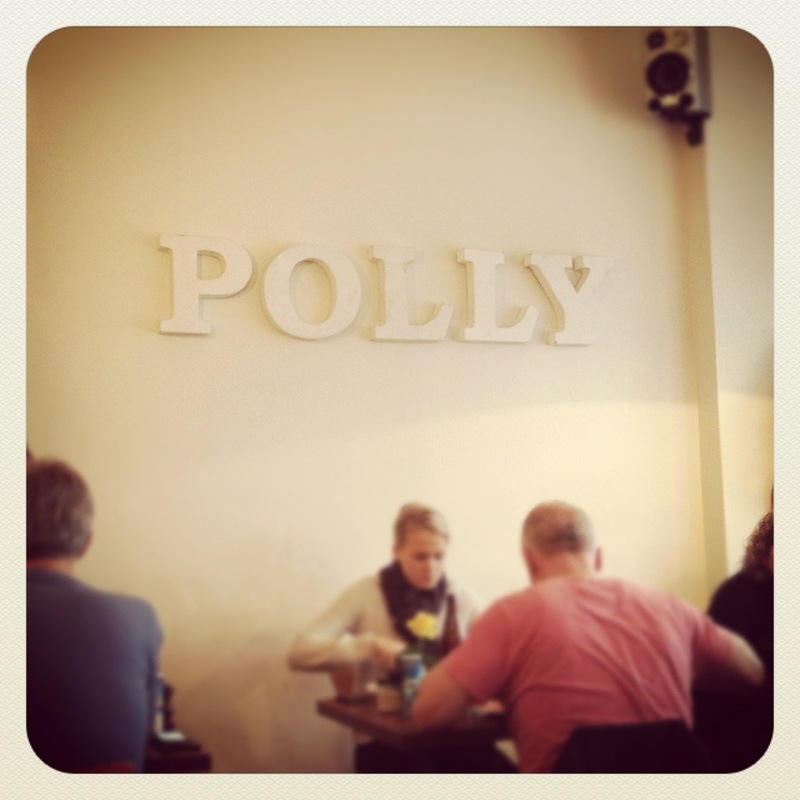 Miss Polly is a small and cosy cafe tucked in a small lane in Mitcham. It’s apparently opposite what used to be Coles a few years back! I kinda overheard the conversation the owner was having with another couple the table next to us. haha. Their mother used to go to that Coles! Love a place with rich history (: Makes the place more unique! I was super happy that the mr brought me here. I was crazy jealous when he went there on his own after sending his car in for a service. I saw his pictures on instagram and it was on my “to-go” list (which by the way is ever growing! haha). Lucky us took the last table available besides the communal table! Plus, everyone at the cafe was really friendly and nice! Straight away we ordered our choice of hot drinks, as it was super cold that morning! 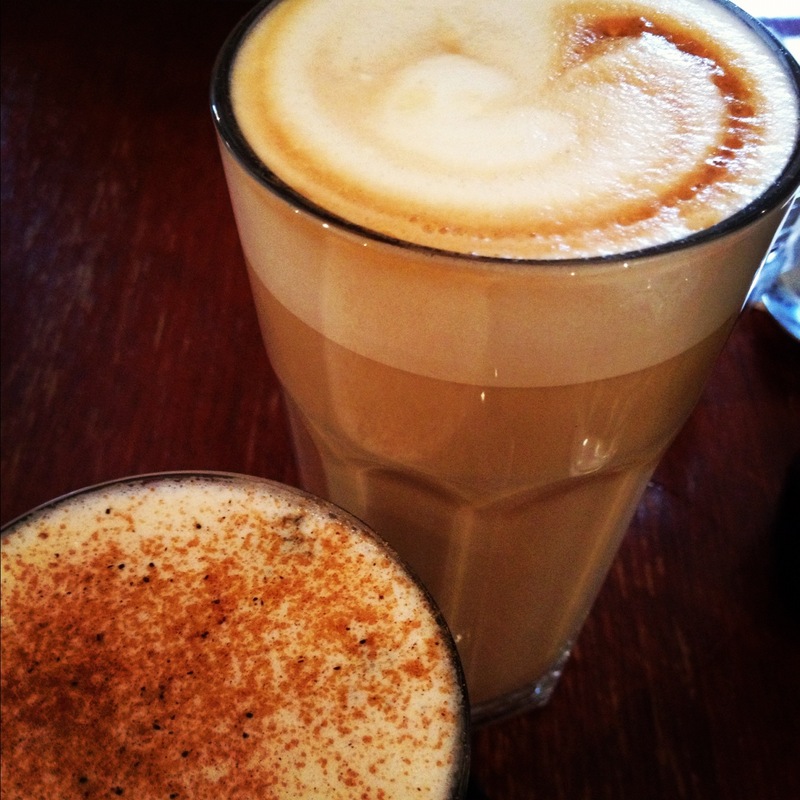 Our drinks are pretty standard for brunch : chai soy latte for me, and a large cafe latte for the mr. It was my first time seeing a large latte served in a tall glass! And what’s better? They use the beans from Proud Mary! The Mr’s favourite coffee. hehe it was a win-win! When I skimmed through the menu, the one thing that caught my eyes was the dish with corn fritters! Ever since I had corn fritters at Replete Providore, it’s something that I crave for brunch constantly! So when I saw it, I just had to order it. It’s called Something Salmon! What a cute name aye? 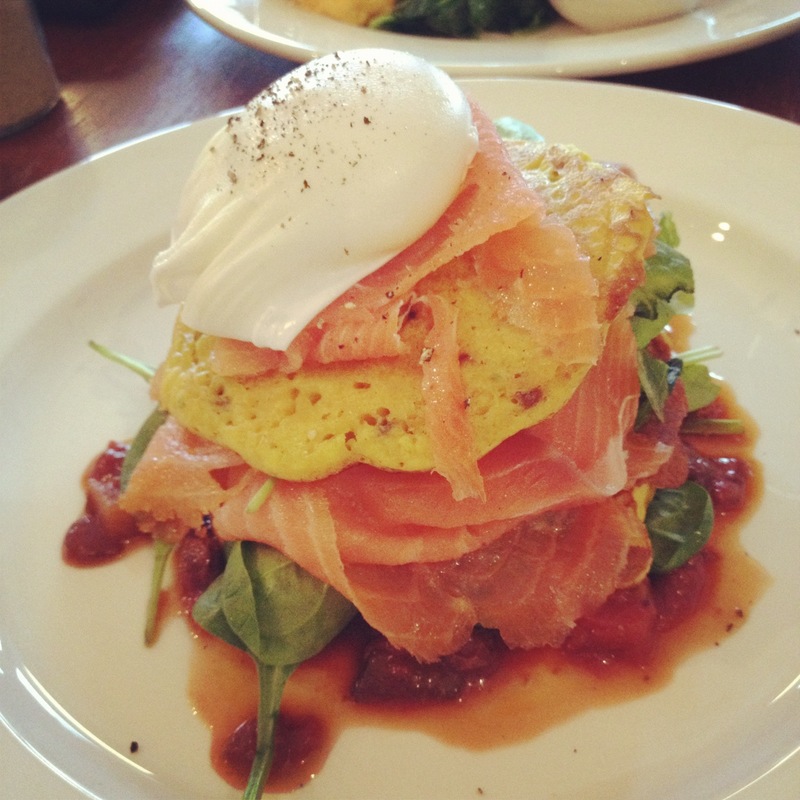 It has alternate layers of corn fritters, smoked salmon and spinach leaves topped with a poached egg and delicious tangy tomato relish! How pretty does it look? It tasted as delicious! Of course, I couldn’t finish it haha (nothing new there!) and the mr had to, once again, clean the plate up for me! 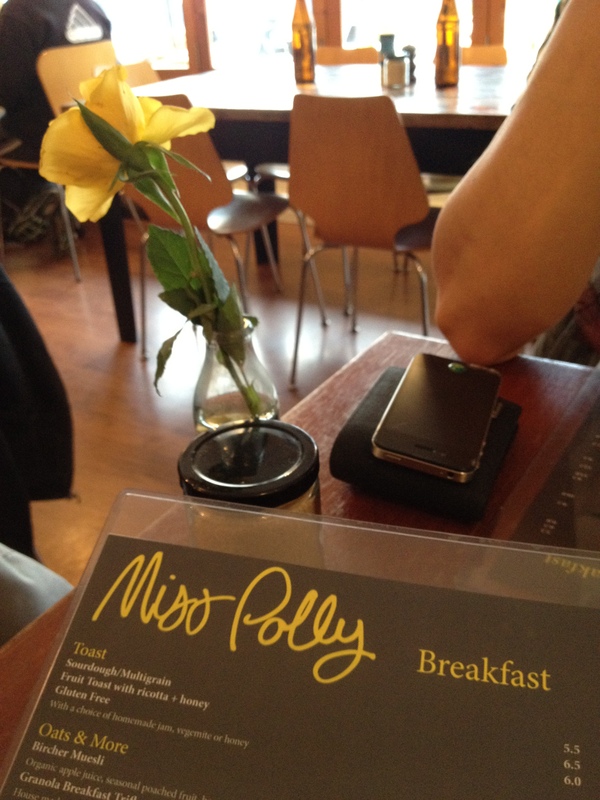 hehe Even after having his order of Polly Big Breakfast! 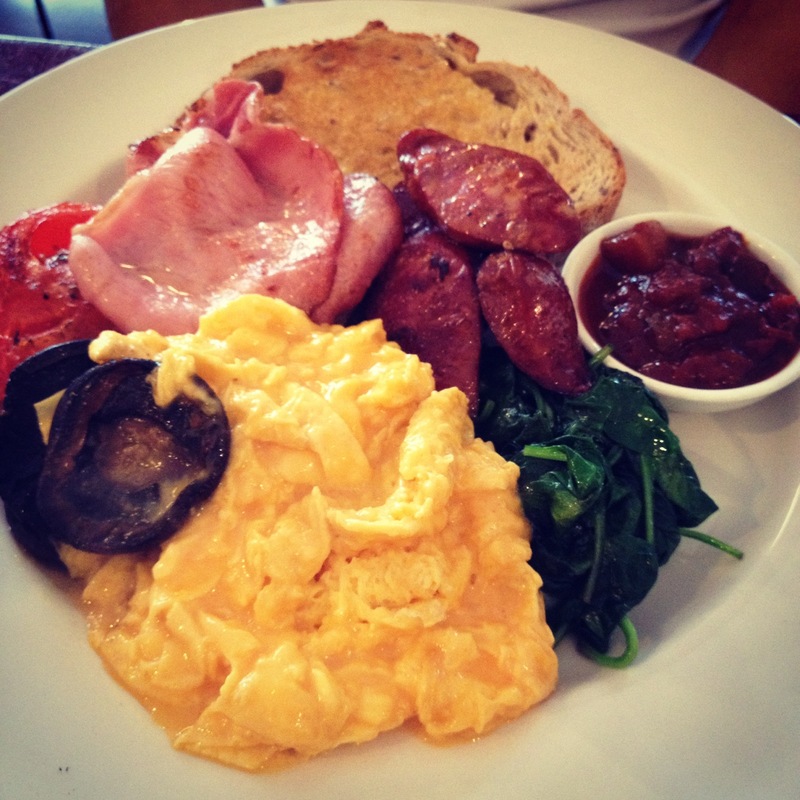 The breakfast platter includes scrambled eggs, spinach, mushrooms, bacon, tomatoes, chorizo, a slice of bread and a side of tomato relish! So what do you like to order when you go for brunch? Would love to know your choices! Happy mid week everyone! Just 2 more days till the weekend again!